Increasingly, price points, reliability and speed of installation are driving product choices when designing and specifying new developments. 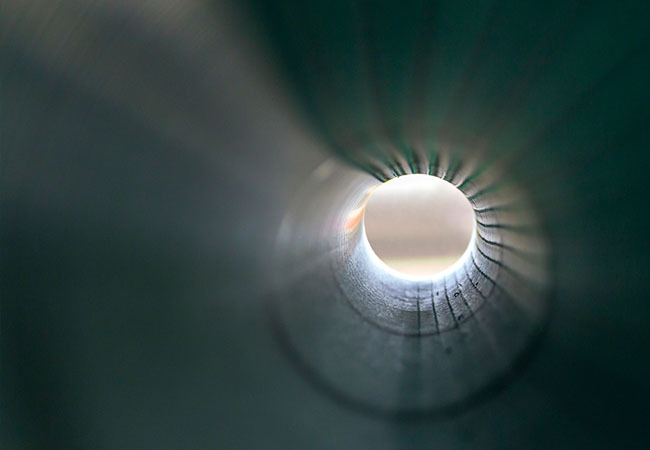 While copper pipe still dominates the UK pipework market to a large degree, multi-layer composite pipe (MLCP) is starting to prove its robustness and cost-effectiveness on projects throughout the UK. 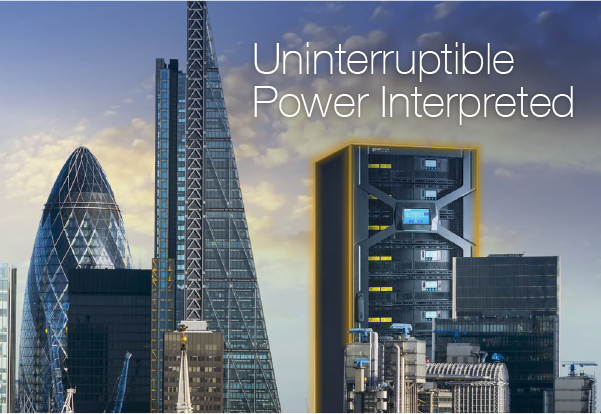 Delivering successfully for modern construction means products need to be installed quickly without compromising on the quality of installation and specification. 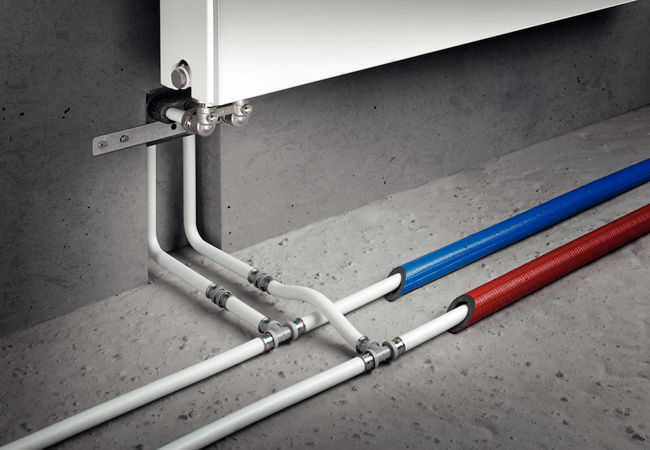 First introduced to the UK market in the 1970s, MLCP has seen a recent growth in popularity alongside increased use of renewable energy technology – such as underfloor heating. MLCP has also seen less dramatic price fluctuations in recent years compared with copper and steel. 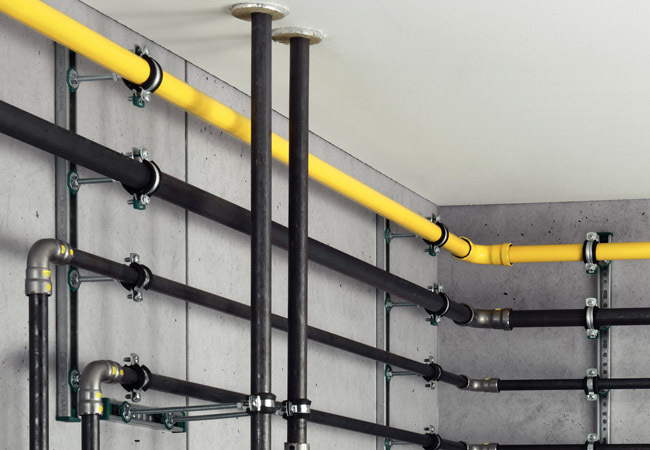 The flexibility of the pipe, together with the use of press fittings, is where MLCP can offer significant savings to developers on installation time. The pipe can be bent readily, allowing efficient routing around the building. Once bent, it retains its form and stays in position. 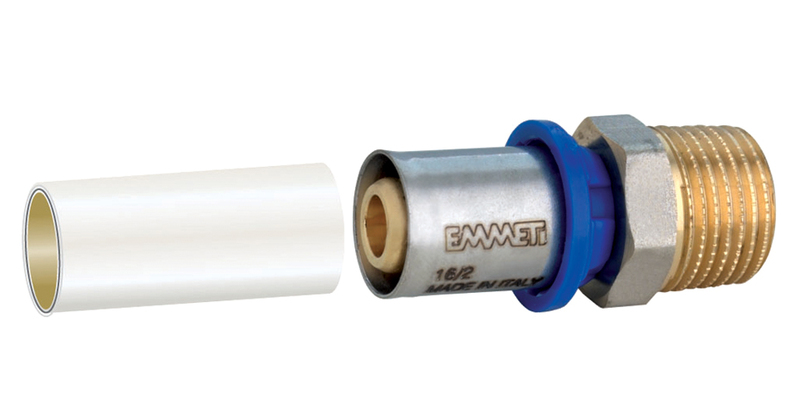 MLCP is often perceived to be comparable to plastic-only pipe, commonly used in DIY projects. But it is a halfway house between polybutylene pipework and copper piping, consisting of a plastic pipe (PE-Xb) with an internal aluminium layer that offers rigidity, form retention and a solid oxygen barrier to prevent internal corrosion of heating system components. 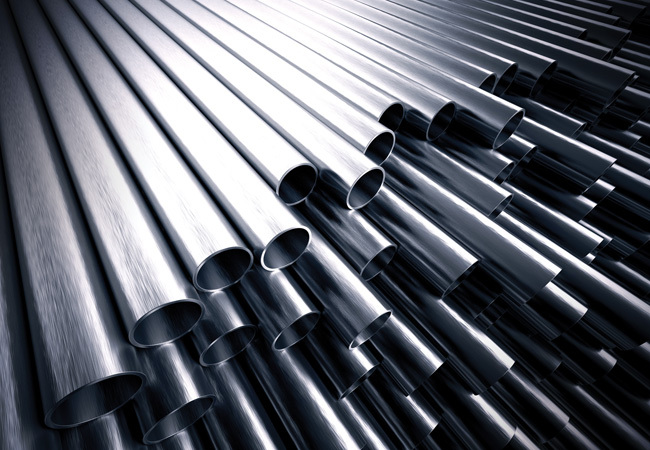 The intermolecular bridges inside PE-Xb pipework give enhanced benefits of resistance over time to pressure and temperature, resistance to corrosion and the ability to be used with high and low temperatures. Compared with copper and stainless steel, the smooth interior surface of MLCP pipe promotes the flow of water, considerably reducing pressure drops across the system, minimising running noise and reducing maintenance needs. The aluminium intermediate layer creates an oxygen barrier and the ability to form 90-degree bends while retaining its shape – something not associated with plastic pipes but expected with copper. 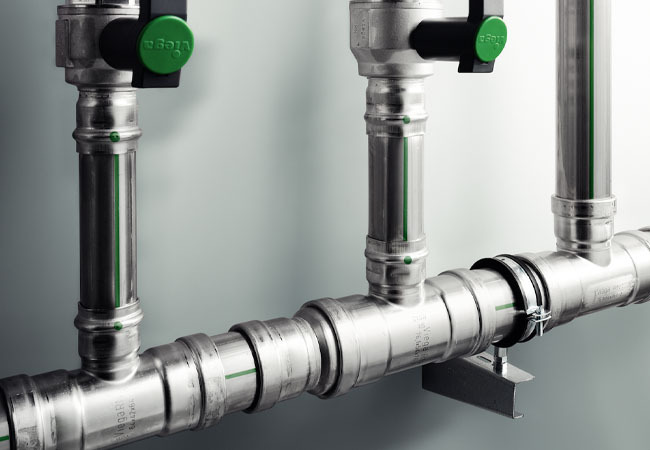 This element, combined with the speed of using press fittings – which the UK has now adopted as standard practice – is key to quicker, safer and a more technically astute product installation. This type of jointing method has become increasingly popular because of its simple and quick installation, high working temperatures and pressure capability. 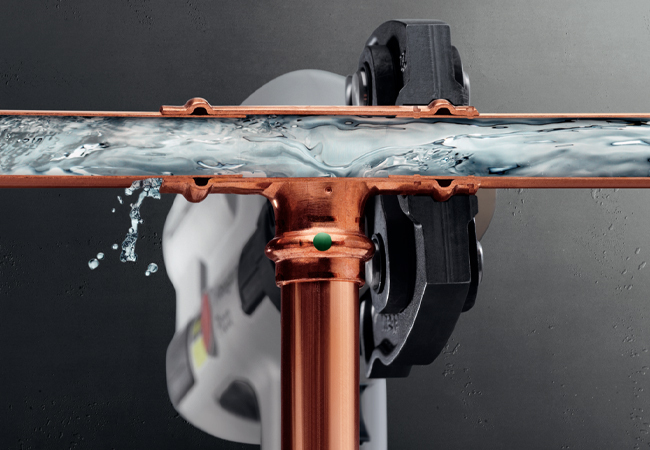 Press fittings are a clean, simple and more efficient alternative to traditional jointing methods such as soldered copper and threaded steel fittings. The use of a pressing tool to ensure a clean, secure joint means the system can be installed with no hot works on site. 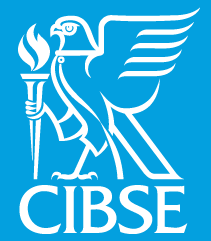 This saves time, permits and insurances and reduces the risk of fire. 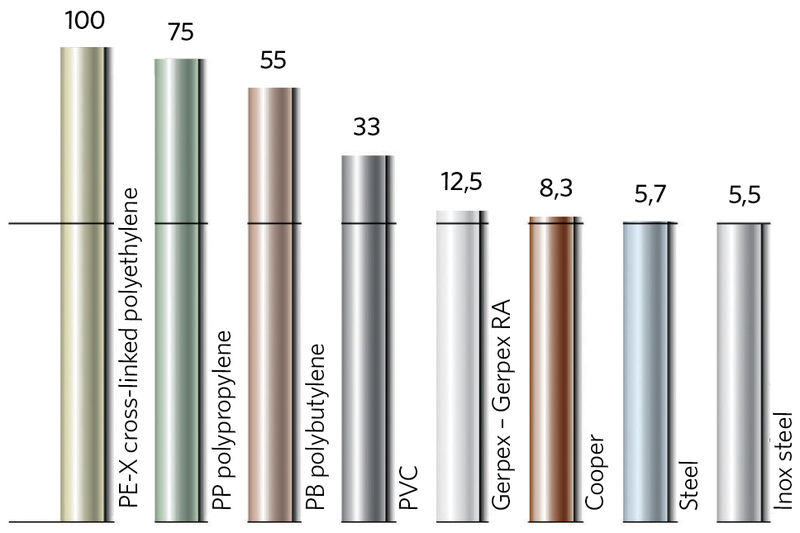 While fittings can have different material make-ups, such as polyphenylsulfone (PPSU) composites, other systems use engineered brass, with an outer sleeve coating of nickel plating that is not in contact with fluid. The fittings have a two O-ring system made from ethylene propylene diene monomer (EPDM) rubber. 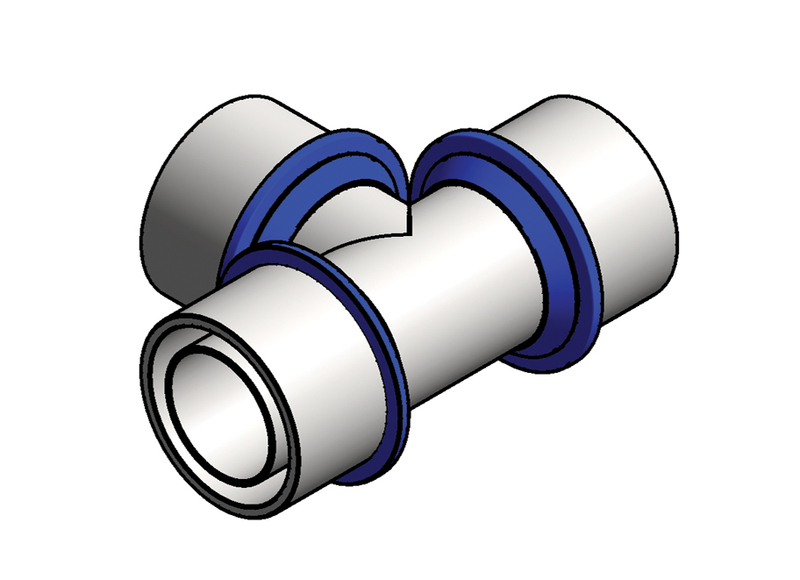 Finally, a plastic ring incorporated into the fitting prevents di-electric corrosion between the aluminium layer of the pipe and the brass-bodied fitting. Compared with conventional plastic piping, MLCP has low expansion characteristics because of the internal aluminium layer. 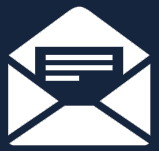 For design and specification purposes, thermal expansion is comparable to copper. The table (above) highlights different materials common to the UK market and their linear thermal expansion. Using a set point of 10m with a ∆T at 50oC, it is clear that MLCP systems are the nearest comparable material to copper and steel. 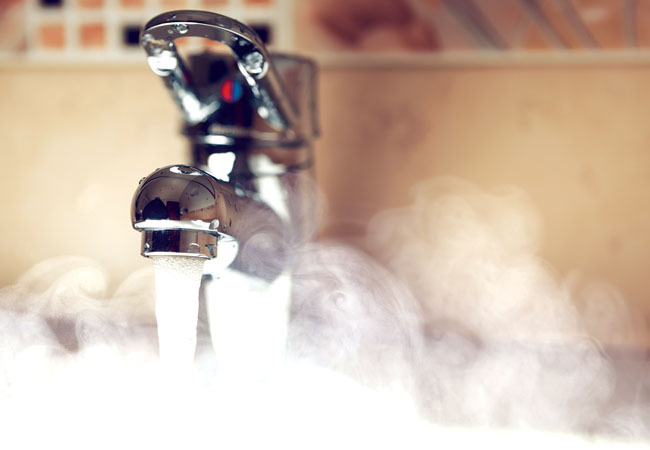 Applications of the Water Regulations Advisory Scheme (WRAS) approved system mean it is used regularly within potable environments as well as heating and chilled water systems. Another market sector where MLCP is particularly suited is high-rise residential projects, where it is being used in risers and downstream in corridors and apartments. The flexibility of coils over straight bars means installation times are generally 30-40% quicker than when using traditional copper or steel. Also, the risk of theft is minimal because MLCP has no scrap value.